Bones in Lakes are making the news in Sweden and in India. 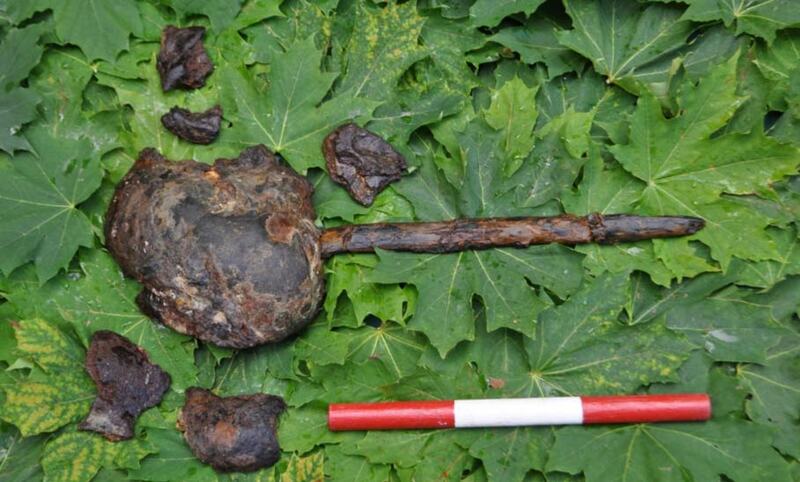 Work on railroad construction at he edge of Lake Motala in Sweden uncovered the remains of a grisly display of skulls once posted on stakes. They represented men, women and even children. Archeologists determined that the skulls were once in the lake itself. The initial discovery was made in 2011 and archaeologists have yet to determine the true nature of the site. It may be a reburial site of venerated ancestor bones—or perhaps the sacrifice of members of an enemy tribe. 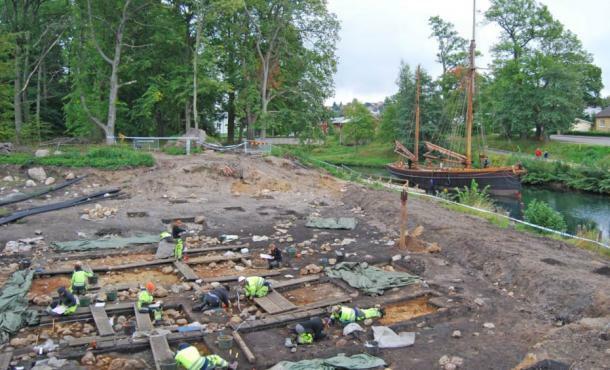 The Archaeology Hour will cover the latest news with Frederik Hallgren of the Swedish heritage foundation Stiftelsen Kulturmiljövård Mälardalen in an upcoming feature in its podcast. 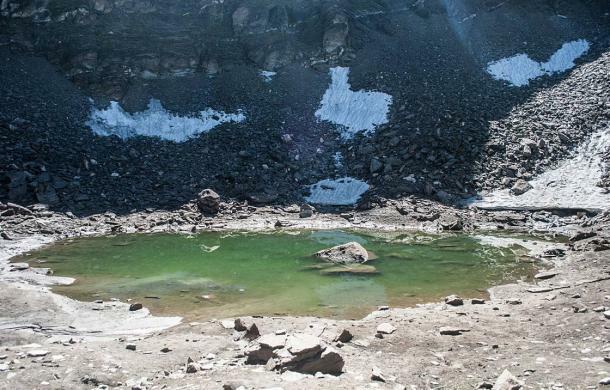 Roopkund Lake tells a very different story. The lake is high in the Indian Himalayas and at 16,000 feet it is frozen for most of the year. There is one month a year when the lake melts—and during one of those months years ago passers by discovered the bones of more than 300 people sticking above the surface as the lake dried. It was at first thought the bones belonged to Japanese soldiers. Later research determined that the bones had first been noted in the 19th century. According to India Today the bones have now been dated to approximately 850 B.C. Examination of the skulls has shown a common injury-indentations made by a round object the size of a baseball. Some have concluded that the group of people died in a severe hailstorm! While a possible explanation, it would seem more likely that some sacrificial killing process is involved. The isolated lake is considered sacred by local tribes and is still an area of annual pilgrimage. 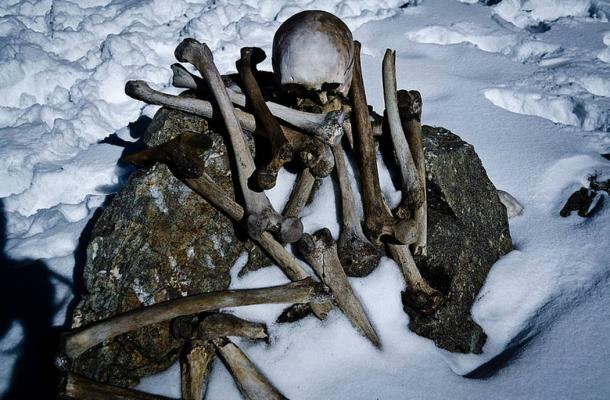 Bones at Roopkund Land. Source: India Times.